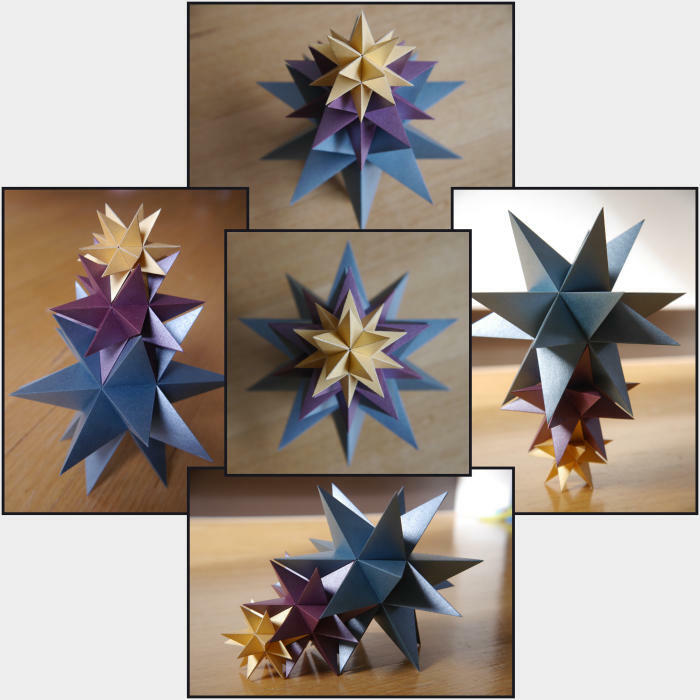 The Kepler-Poinsot solids are the four non-convex regular polyhedra. 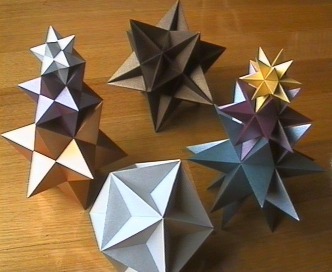 Each one has identical regular faces, and identical regular vertex figures. 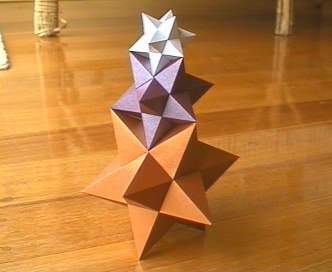 These models were made using nets generated by Great Stella, but could also be made using Stella4D or Small Stella. Click on the images below to see a bigger picture and get more information about how I built them. 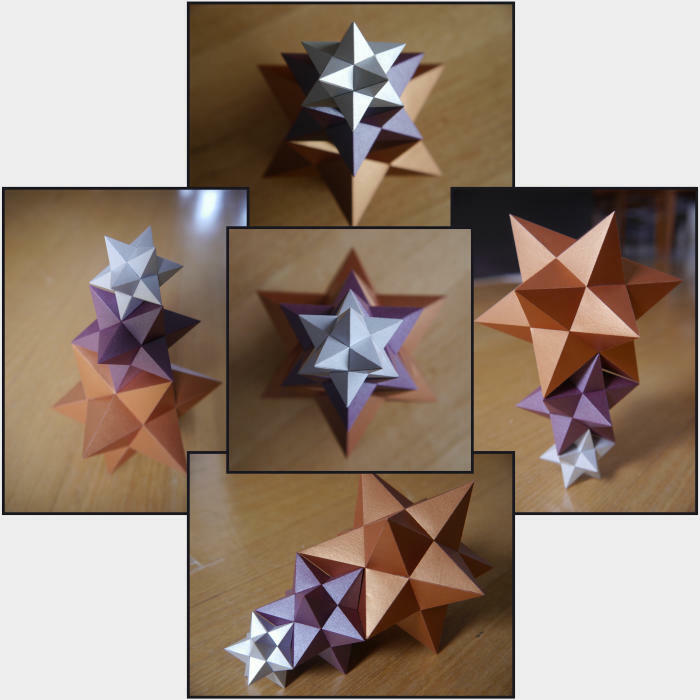 The small and great stellated dodecahedra both stack up very well. 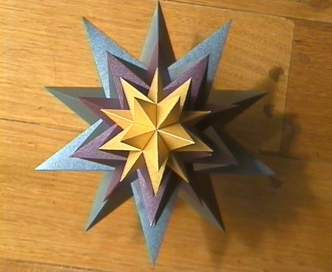 Each one should ideally be scaled by the golden ratio with respect to the next one in the stack. 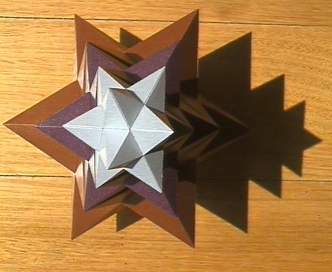 The models fit together prefectly, and various points, lines, and planes align with each other as if by magic. Here are the same stacks viewed from above.